Most ACT families do a great job of raising their children and young people. These families work hard to provide the care and support children and young people need to grow into happy, healthy adults. But this is not the experience for all children and young people in the territory. It may be a surprise to learn that around 600 children and young people are vulnerable and cannot safely live with their parents. These children and young people may be neglected or may suffer physical, sexual or emotional abuse. Their childhood is marked by fear, deprivation and insecurity. They are likely to have one or more parents struggling with mental illness, substance abuse or domestic violence and, often, families’ abilities to solve their problems are hampered by poverty and social isolation. Children and young people living in difficult circumstances may need to move into out of home care for protection. While in care, they deserve to live the best possible lives and to grow up strong, safe and connected. In January 2015, the ACT Government released its new five-year strategy A Step Up for Our Kids - One Step Can Make a Lifetime of Difference (the Strategy). The Strategy is one of a suite of Better Services initiatives designed to ensure that members of the ACT community receive the services they need, at the right time for the right duration. investing in the future of our most vulnerable children and young people. It is about keeping kids at home where possible and preventing future generations from disadvantage. reuniting children and young people with their parents as quickly as possible or, for those who cannot safely go home to birth parents, providing a chance for them to grow up in a secure, loving alternative family. better supporting foster carers and kinship carers who, as valued partners in the care system, play an important role as primary supporters and healers of children and young people in their care. The Strategy is about the delivery of better services for children and young people in care. It introduces a number of new and different ways of providing services that build on the best elements of existing out of home care services to make them more effective. The strategy also aims to refresh relationships across the out of home care sector, recognising and respecting the important contribution of all participants, but particularly that of foster and kinship carers. Their contribution is much greater than simply providing a place to stay. Carers are volunteers, providing safe, healing relationships for children and young people to support their development, well being and recovery from difficult earlier experiences. All children and young people who enter care are experiencing trauma. That is why they have come into care. They may have already been exposed to multiple traumatic experiences, such as abuse, neglect, domestic violence and drug and alcohol abuse. Coming into care exposes children and young people to additional trauma as they may lose contact with familiar people, environments, pets and toys. In the past children and young people have been placed in foster care where it was hoped they would settle and flourish. It is now clear that traditional service approaches haven’t always worked. It is also clear that “one size doesn’t fit all”. Children and young people need flexible, individualised care plans based on an in-depth understanding of their needs. The Strategytakes a new, therapeutic approach to care, to actively address trauma. It’s designed to ensure all children and young people in care get the help they need and the chance to build positive, ongoing relationships with caring adults. The new care system requires therapeutic assessments and plans to be developed for all children and young people in care to identify and treat issues early. Carers - both foster carers and kinship carers - are central to this new approach as the child or young person’s primary supporter and healer. Many of the ACT’s carers have already undertaken training in trauma informed care. All carers will now be offered the opportunity to train in trauma-informed care and additional supports will be available to assist birth parents and carers who are struggling to manage difficult child behaviour. This new therapeutic, trauma-informed system of care builds on an earlier commitment by the ACT Government to establish a trauma recovery service for children in care. Melaleuca Place opened in July 2014. It provides high-quality therapeutic services for children up to 12 years of age and support for their parents or carers. This strategy benefits a range of groups with an interest or role in out of home care and also the wider community who benefit when services are targeted to those citizens most in need and where they can make a difference. The strategy commits child protection and out of home care services to hearing the voice of the child or young person, better understanding their needs and providing flexible, personalised services, that can scale up and down in intensity as the child or young person’s needs change over time. In the first instance every effort will be made to support birth parents to keep children and young people at home or to reunify the family as quickly as possible. Where reunification is not possible, children and young people need to grow up loved and secure in an alternative family through adoption or enduring parental responsibility orders. Children and young people in care told us that they wanted to feel loved, secure and normal. The strategy also increases both casework and financial support to care leavers to ensure that their transition to adulthood is more akin to that of other young people who can generally call upon their family for emotional and practical support. The strategy will provide extra support for birth parents struggling to safely take care of their children and young people. This includes practical, in-home support to develop their skills so parents can get back on their feet and keep their family together. A new family advocacy service will also be funded to ensure that birth parents and other family members can access independent advice and support in their dealings with child protection and out of home care services. Around 25 per cent of children and young people in care in the ACT identify as Aboriginal and Torres Strait Islander. The ACT Government is keen to reduce the over representation of Aboriginal and Torres Strait Islander children and young people in care, whilst still affording vulnerable Aboriginal and Torres Strait Islander children and young people the same rights and protections as other children. New placement prevention and reunification services will help Aboriginal and Torres Strait Islander families to stay together. New cultural advisors drawn from the Aboriginal and Torres Strait Islander community will help strengthen decisions made about Aboriginal and Torres Strait Islander children and young people, based on their individual needs and circumstances. The advisors will improve support for children and young people to stay connected to their families, culture and country. Carers will enjoy access to improved training and therapeutic services designed to assist them to better support the children and young people they care for. All children and young people entering care will receive a comprehensive therapeutic and developmental assessment designed to identify any problems and to identify needs early. Carers will also be able to access better health information about children and young people they care for through a child health passport which will accompany the child or young person. Decision making affecting the carer and child or young person will be streamlined and speeded up through providing more power to agencies to make decisions. Carers will be able to obtain permanency for a child or young person earlier and more easily than in the past. Carer subsidy payments will no longer automatically cease when the young person turns 18. Where it would assist the young person to transition to adulthood, payments may be extended up to the age of 21. 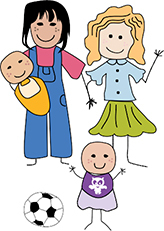 Kinship carers will receive enhanced support through training in trauma-informed care and the outsourcing of kinship care to non government providers once all child protection court work has been finalised and it has been established that the child or young person will not be returning to the care of their birth parents. This will provide equity of access to support for kinship carers in line with foster carers. A new carer advocacy service will be funded to ensure that carers who disagree with decisions of child protection and out of home care services can receive independent advice and support. The strategy will provide non government out of home care providers with a larger share of the out of home care business and greater responsibility and autonomy in providing long term care for children and young people. Over time, providers will be subject to performance based contracts under new arrangements. Those agencies who deliver high quality services will be able to access additional positive performance payments. There will be an improved, simpler and clearer regulatory environment under the new arrangements for providers. When will the strategy commence? The Strategy will be rolled out from 2015 to 2020. Many improvements, new initiatives and reforms are involved and five years is needed to implement them all. We will see some changes fairly quickly but others will take more time - even a generation. The aim is for all future care leavers to succeed as adults and to form safe and secure attachments with a family they can call their own. This is a journey. It’s not possible to make the leap to a new service system overnight. Many organisations are involved in providing out of home care. Many people and organisations were consulted in the development of this strategy including young people, carers, out of home care agencies and other non-government organisations and other government services. Government alone cannot deliver the strategy’s vision. The support of the ACT community, its institutions (such as schools, health services and community organisations) and families are all needed to make a difference. Further information on the Strategy can be found at CBR Steps Up or by contacting the out of home care services team CBRstepsup@act.gov.au or 02 6207 4544.